Dear Sir/Madam, dear business partners, VKK Standardkessel Köthen GmbH is ringing in a new chapter in the company’s over 150-year history – VKK Standardkessel Köthen is transforming into VELDE Boilers and Plants, and it is happening immediately. 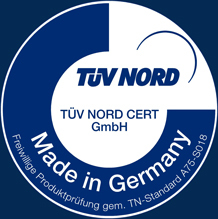 Our Standardkessel trademark still stands for quality that is Made in Germany as a matter of course. Changing our company name is an expression of our future development and highlights the fact that our future goals are geared towards expansion. We will both continue, as well as expand, our partnership, also under a new name, whilst maintaining the usual quality and customer focus. You will still be able to get in touch with your long-standing contact person as normal, just by using a new email address. We have a new name, but for you, nothing changes. It is purely a name change. The company structure remains unchanged, and so does all important information. We look forward to writing a new chapter in our company’s history with you and we would like to take this opportunity to thank you for putting your trust in us. Feel free to contact us if you have any further questions.